Some of those 'deaths' were hilarious. Laughed out loud at the Squidlings trying to avoid it. Nintendo HAS to know that was comedy. - Shantae, Half-Genie Hero. Cult fave character with great music and unique ability set. - Banjo & Kazooie. Former Nintendo icon and fellow Rare classic. Probably a given. - Rayman. Another cult fave who fits well into the general 'vibe' of Smash's roster. Close working relationship with Nintendo, not common for 3rd parties. - Spyro. Wildcard pick, considering his home. Shante is already a sticker so I'm guessing she wont be playable. Isn't B&K owned by Rare which is owned by Microsoft? Also i dropped my preorder after they released NSO. No thanks. Also, 5.99 isn't a bad deal for a new character, new stage, and music pack. I actually laughed at Snake just hiding in his box. But yeah, I think Waluigi is the most obvious one right now. God Nintendo. Do you just want access to my bank account or what? I hate how people are complaining that Sak the "direct" was too long and all the information Sak was giving was not exciting. I've watched a few reaction videos and I'm amazed how many people don't know Ken from behind. Shantae is a sticker so, assuming a character can't appear in multiple forms, that rules her out. Banjo & Kazooie are owned by Microsoft but there was that tweet during the Smash Ballot where some big guy at Xbox said he'd love to have B&K in Smash. So I can see that. Rayman was a trophy in Smash Wii U and there was Peach Rabbid Sticker shown in the Smash Direct. I'd say he's also in with a good chance. Spyro seems unlikely, even as a wildcard. The thing that concerns me is B&K and Rayman are big in the west, or mainly Europe for Rayman. In Japan, are they anywhere close to being as popular? I feel a lack of Japanese popularity could reduce a characters chances. Well K Rool is very specific to Donkey Kong Country which was a western platformer. And surely at this point Sakurai considers Smash a global game where not every character needs to be big in every territory. America and Europe know Banjo very well so that should be enough. Dixie Kong would make a cool Echo Fighter for Diddy. Lot you can do with her ponytail helicopter thing. Well that's cause you're a lunatic. Crash is more iconic than those other 2. The Rabids are more iconic than Rayman at this point. In terms of kinda-funny troll marketing toward an obviously superior company, maybe. But I have no idea what got into the water months ago when Crash Remastered came out and everybody's pretending he was some critical thing back then. Nostalgia is often reserved for cool old things rather than 'any' old thing. It was very bizarre. I distinctly remember nobody, absolutely nobody, impressed with Crash Bandicoot. The Blockbuster demo kiosk had dust on the controller (it was next to the N64 demo station). Crash is trash, Nights did the linear movement thing way better in that era. ...And that's why Banjo should be in Smash. I remember differently, people with a ps1 loved crash. They probably liked Ridge Racer. This. And even those who didn't like Crash knew who he was. He was Sony's de facto mascot for several years. Crash on his worst day is far more recognizable than Banjo on his best. The Banjo games were way better though, ijs. Crash was as close to a mascot the ps1 had. 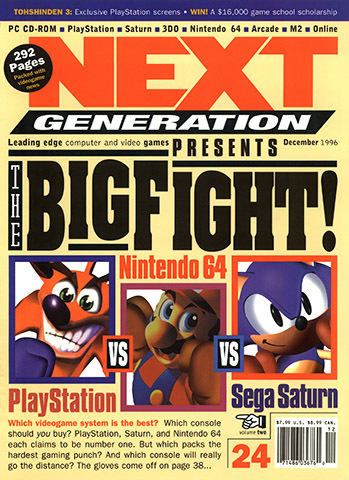 Much more well known than banjo or ray an, even if they had better games. Also, on the subject of rayman can I please get a rayman game that is just all music levels like the ones in legends? Supposed to be getting it tmw and it only just now shipped. lol Yeah just a bit of mild trollin by me. Smash get. World of Light is surprisingly fun and difficult. Which makes me like it a lot. Classic mode is what it is and hey, at the end you get to unlock a random fighter. I dig. I really do dig. So yeah, call this a win for Nintendo. Classic is pretty fun honestly. Hate in smash mode you have to put your chip back on the character after each round. Last edited by Big Vic; 12-18-2018 at 04:02 PM.